ROUYN-NORANDA, Que. — Alexis Arsenault and Peter Abbandonato both had hat tricks as the Rouyn-Noranda Huskies demolished the Blainville-Boisbriand Armada 11-1 on Friday to pick up their sixth straight win and stay atop the league standings in the Quebec Major Junior Hockey League. Rafael Harvey-Pinard added a pair of goals, while Tyler Hinam, Alex Beaucage and William Dufour also scored for the Huskies (18-4-0), who lead the Baie-Comeau Drakkar by one point. Joel Teasdale had the lone goal for the Armada (10-10-1). Samuel Harvey kicked out 26 shots for Rouyn-Noranda. Blainville-Boisbriand's Emile Samson stopped 33-of-40 shots before being replaced by Gabriel Waked in the third period. Waked made 10 saves. The Huskies went 1 for 5 on the power play. The Armada went 0 for 1 with the man advantage. VAL-D'OR, Que. — Julien Tessier scored twice and Mathieu Marquis turned aside 20 shots as Val-d'Or doubled up Victoriaville. Maxence Guenette notched the game-winning goal for the Foreurs on the power play at 11:26 of the third period. Nicolas Ouellet also scored for the Foreurs (7-13-3). Dominic Cormier answered with two goals for the Tigres (10-9-2). Fabio Iacobo kicked out 40 shots for Victoriaville. QUEBEC CITY, Que. — Philipp Kurashev had a power-play goal and three assists as the Remparts downed Shawinigan for their second straight win. Matthew Grouchy scored twice, while Olivier Mathieu, Sam Dunn and Brandon Frattaroli had singles for Quebec (10-9-3). Valentin Nussbaumer, Gabriel Belley-Pelletier, Leon Denny and Jeremy Manseau replied for the Cataractes (5-15-0). Anthony Morrone turned aside 24 shots for Quebec. Antoine Coulombe stopped 34 shots for Shawinigan. RIMOUSKI, Que. 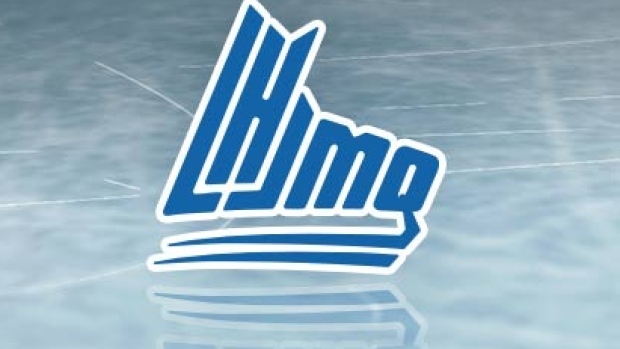 — Jimmy Huntington scored twice and added an assist, while Colten Ellis made 23 saves for the shutout as Rimouski blanked Acadie-Bathurst. Alexis Lafreniere also scored for the Oceanic (12-9-1) and had a pair of helpers. Mark Grametbauer turned away 27 shots for Acadie-Bathurst (4-17-1). BAIE-COMEAU, Que. — Nathan Legare scored twice as Baie-Comeau defeated Cape Breton to pick up its third consecutive win. Jordan Martel, Tyler Hylland, Samuel L'Italien, Gabriel Fortier and D'Artagnan Joly also found the back of the net for the Drakkar (17-5-1). Mathias Laferriere had two goals, while Egor Sokolov and Shaun Miller had singles for the Screaming Eagles (10-11-1). Kyle Jessiman kicked out 30 shots for Baie-Comeau. Kevin Mandolese turned aside 24 shots for Cape Breton. GATINEAU, Que. — Connor LePage scored twice as Gatineau pummelled Drummondville and handed the Voltigeurs a second straight loss. Maxim Trepanier had two goals, while Iaroslav Likhachev, Gabriel Bilodeau and Pier-Olivier Lacombe also scored for the Olympiques (10-10-3). Felix Lauzon had the lone marker for the Voltigeurs (14-6-1). Tristan Berube turned aside 32 shots for Gatineau. Daniel Moody combined with Daniel Moody for 15 saves for Drummondville.